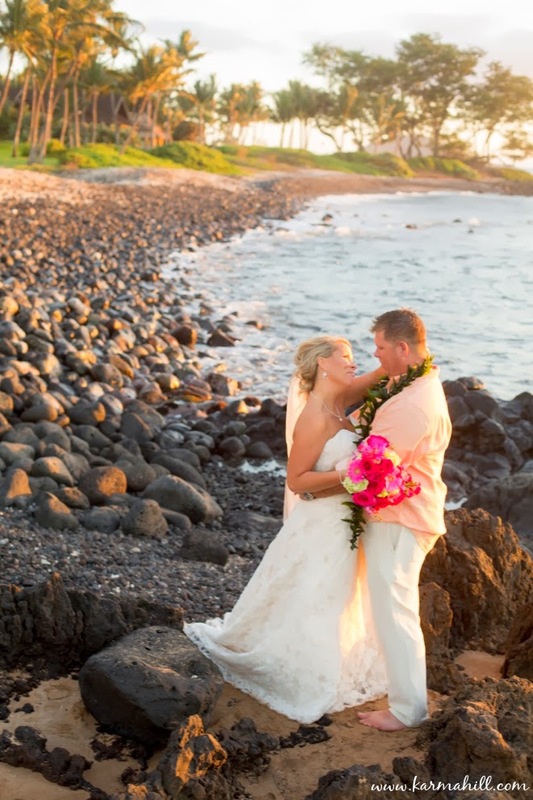 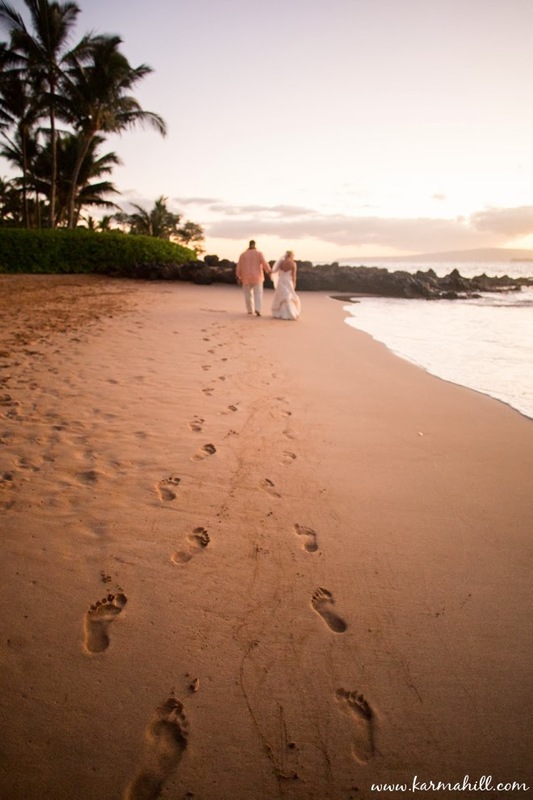 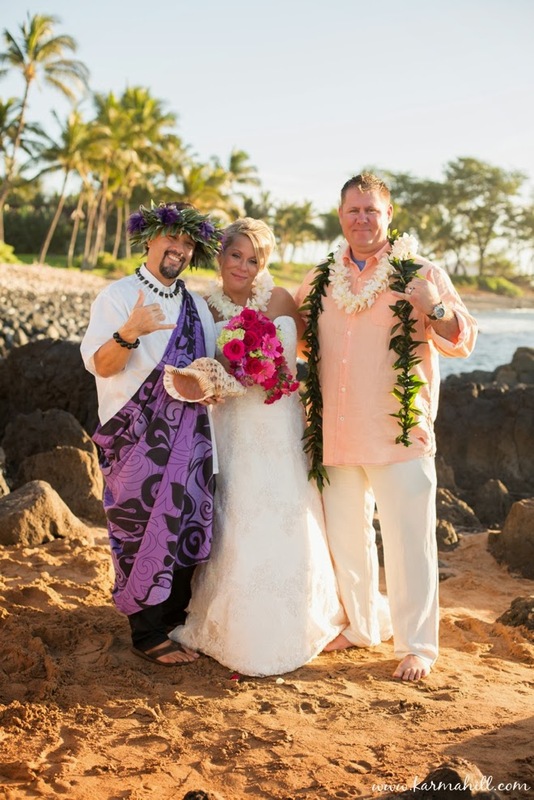 Stephen & Sue celebrated their Maui wedding at Polo Beach last week. 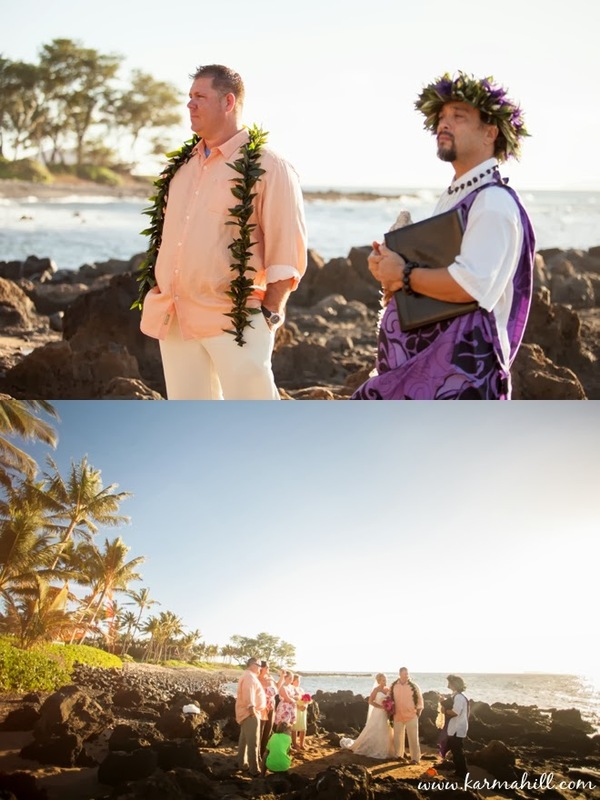 We were so excited to greet the bride and groom as they arrived at the beach in a gorgeous Rolls Royce and limousine. 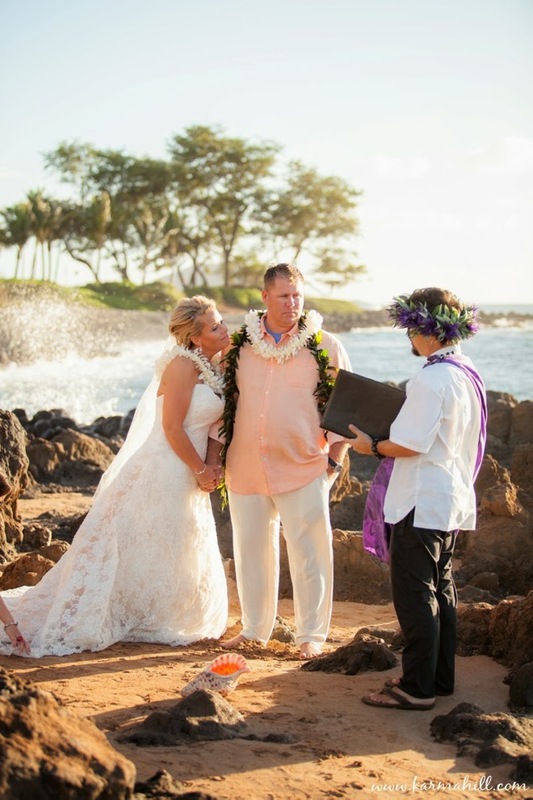 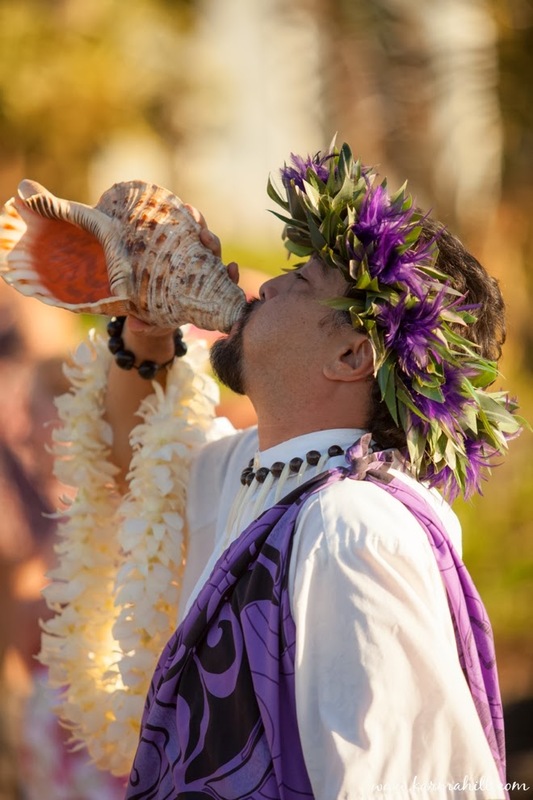 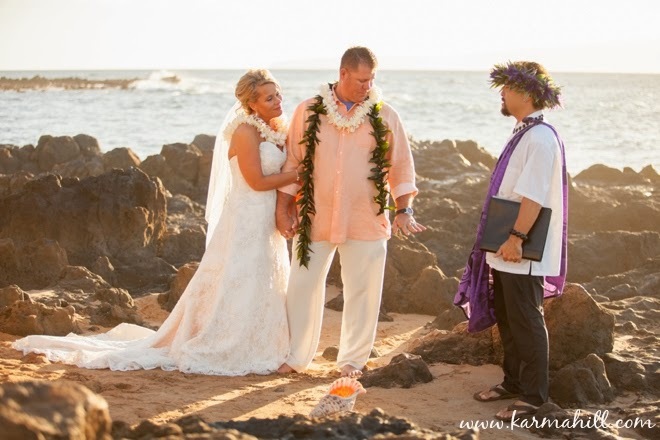 Reverend Kimo Kirkman blew the conch shell to begin their ceremony that took place out on the lava rocks and they said their vows as the ocean waves crashed behind them onto the shore. 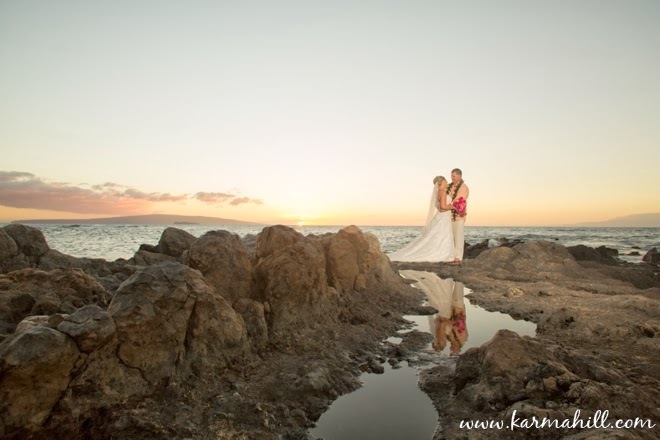 After their ceremony we got to spend time with them taking their portraits at sunset and catching their reflections in the tide pools. 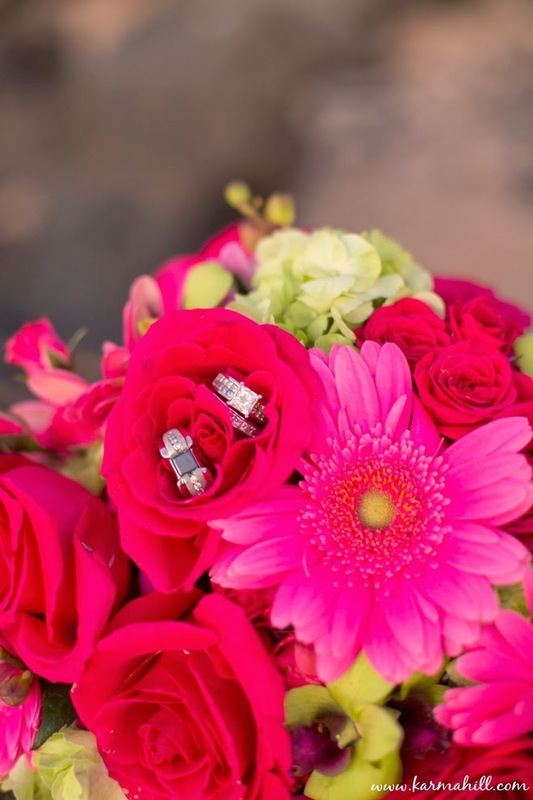 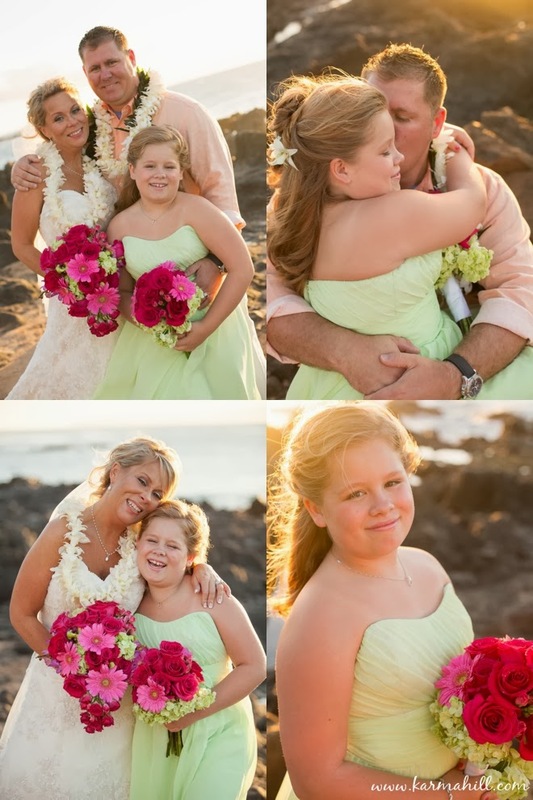 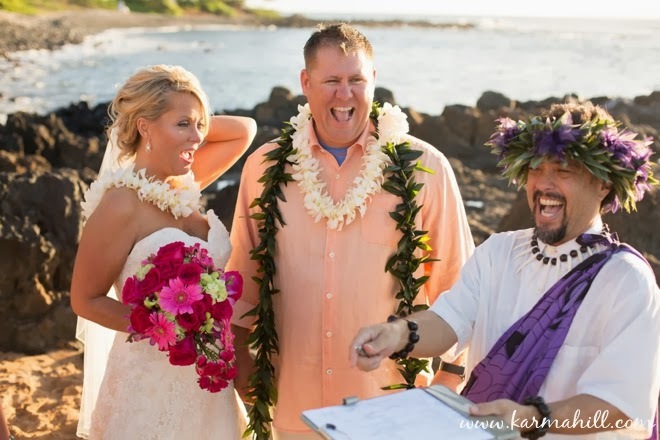 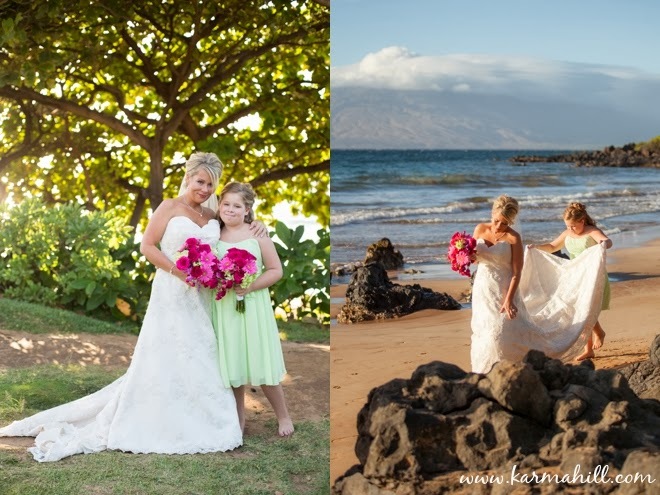 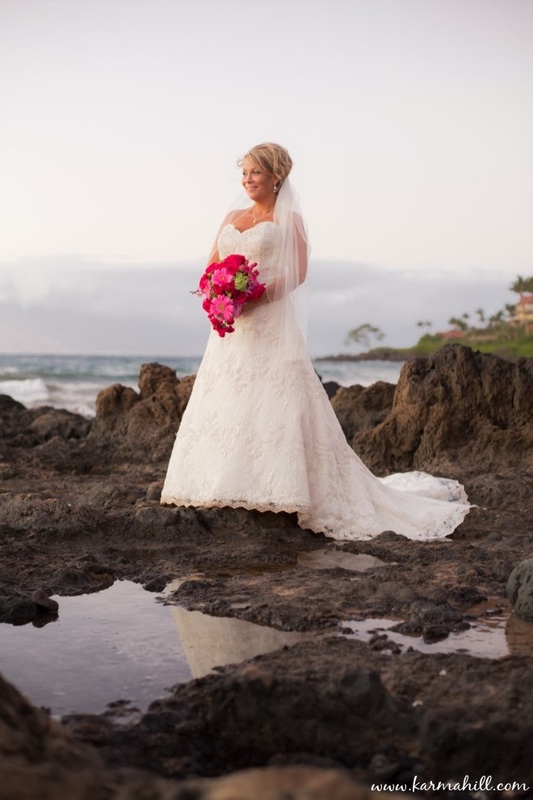 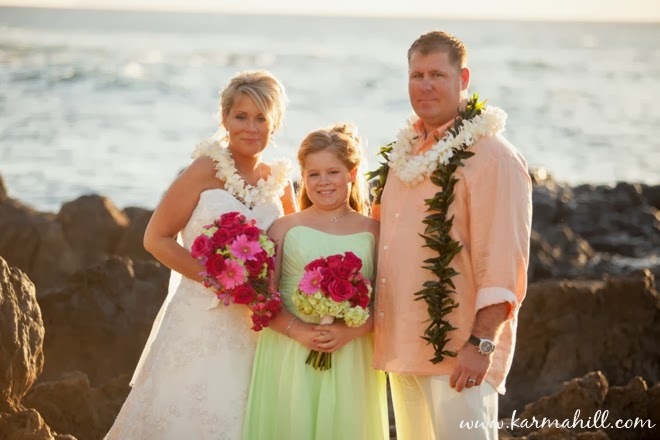 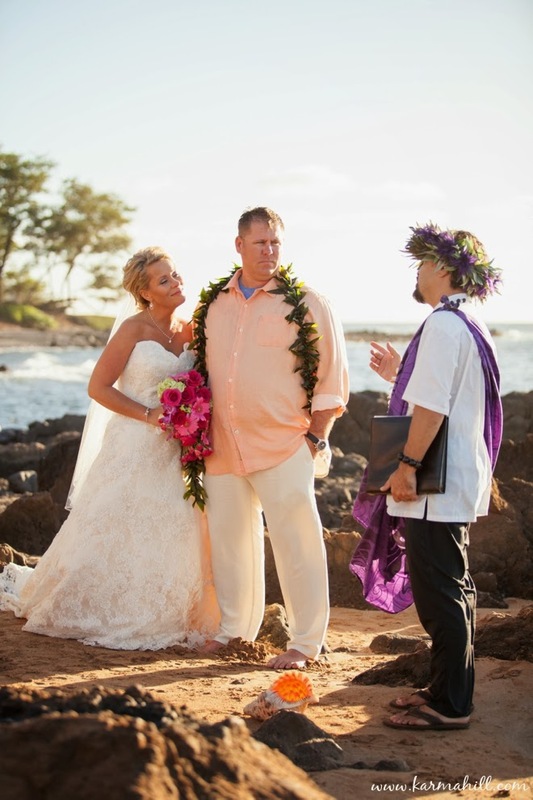 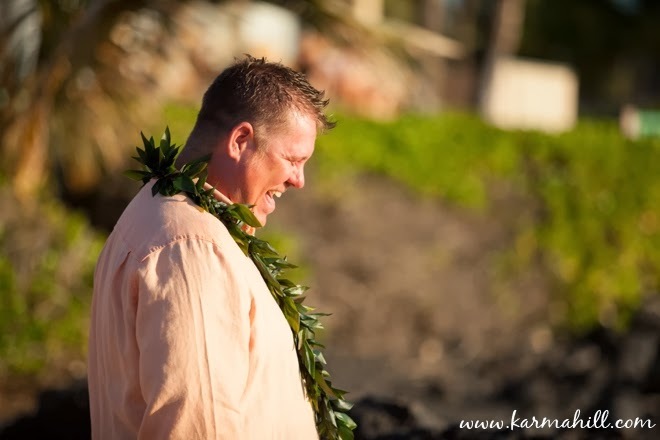 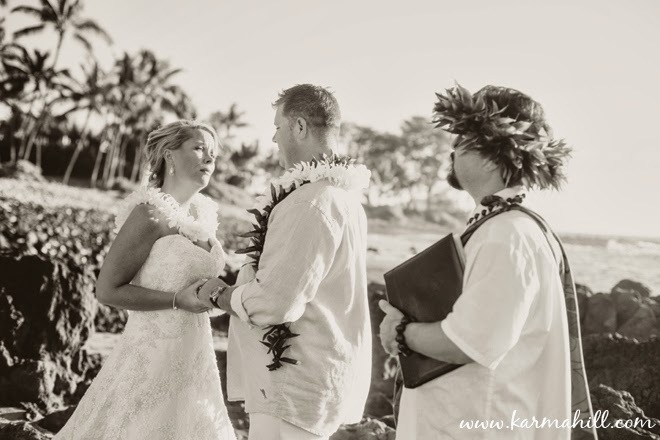 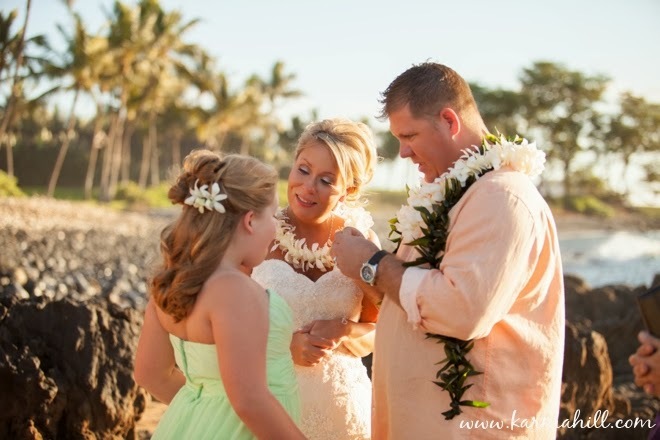 Thank you so much Stephen & Sue for choosing Simple Maui Wedding to coordinate your wedding day! 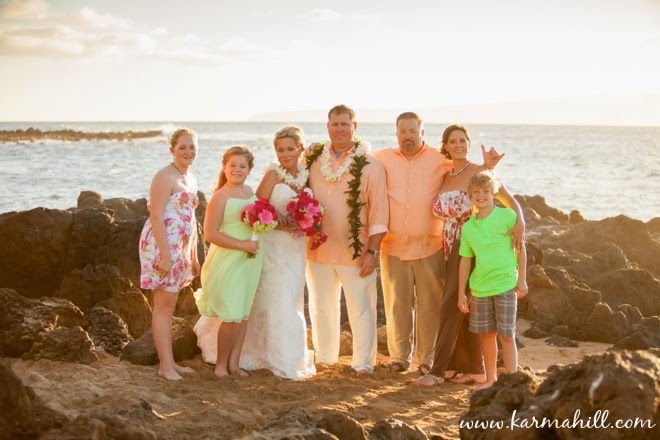 It was a pleasure to work with you and we hope your time in Maui was magical! 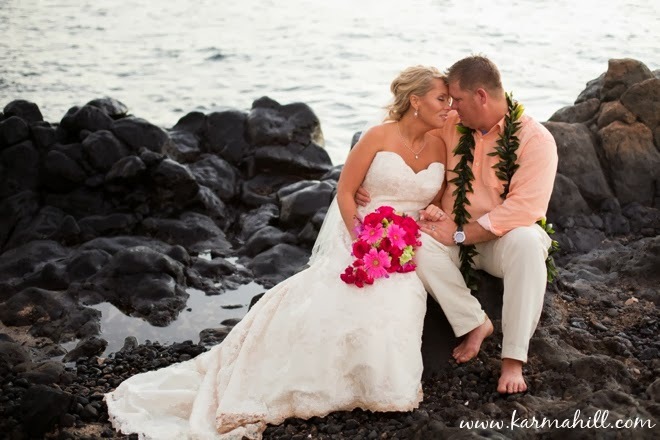 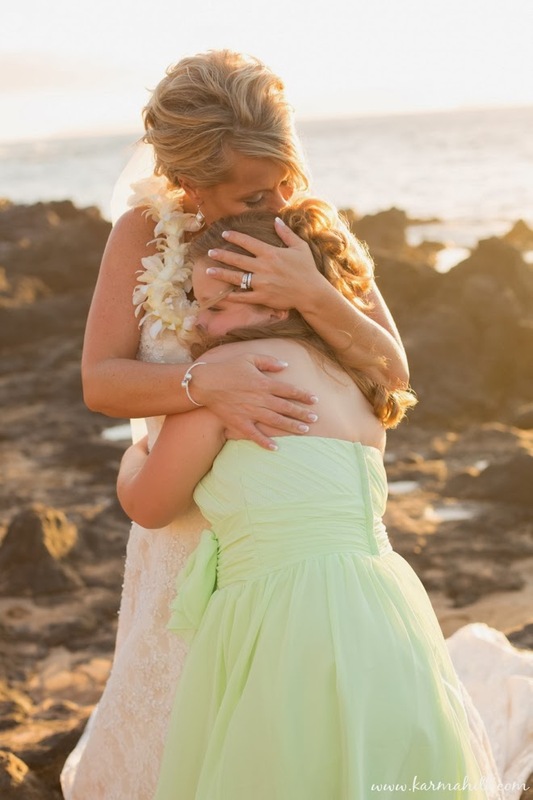 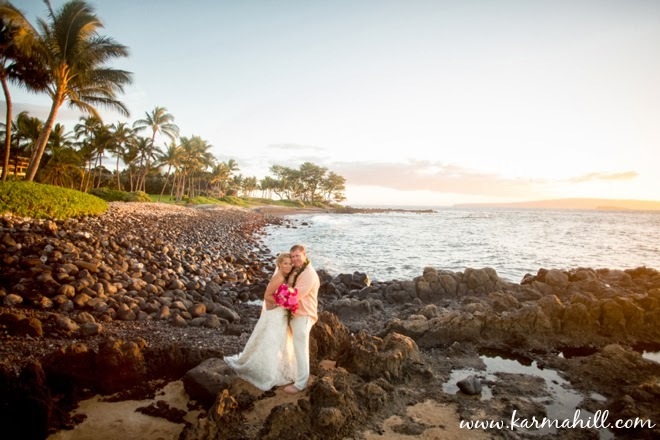 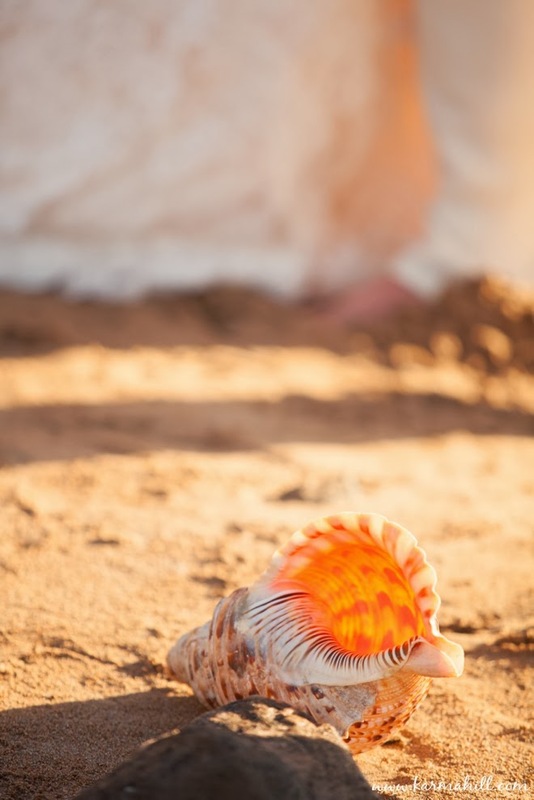 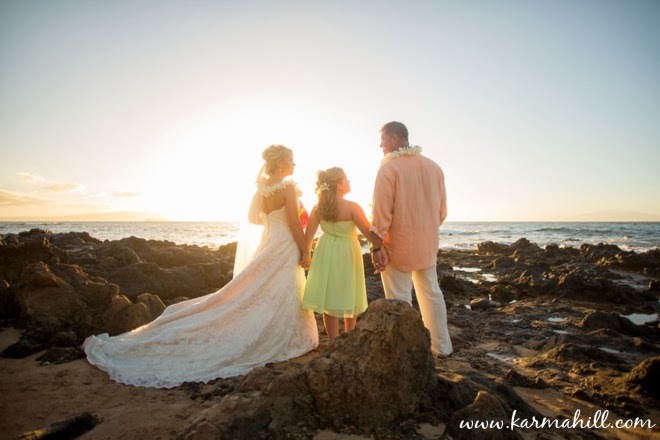 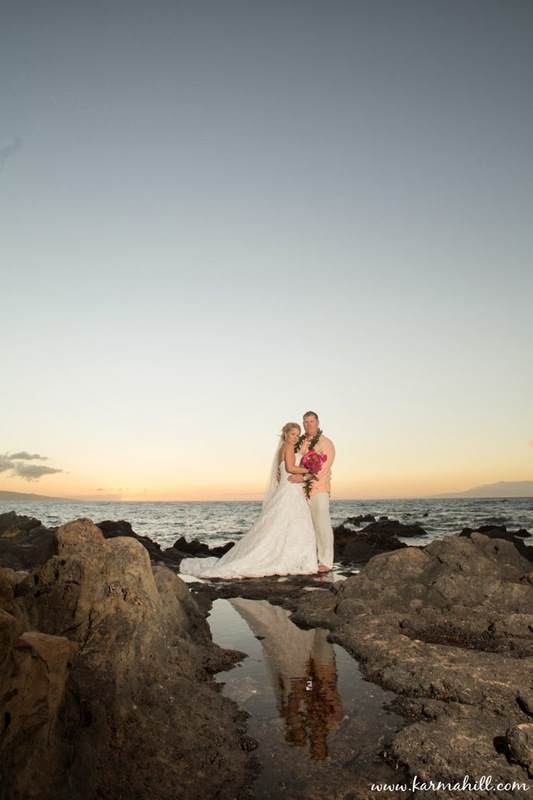 Check out our last wedding with Suzanne & Tyler at Ironwoods Beach in West Maui!